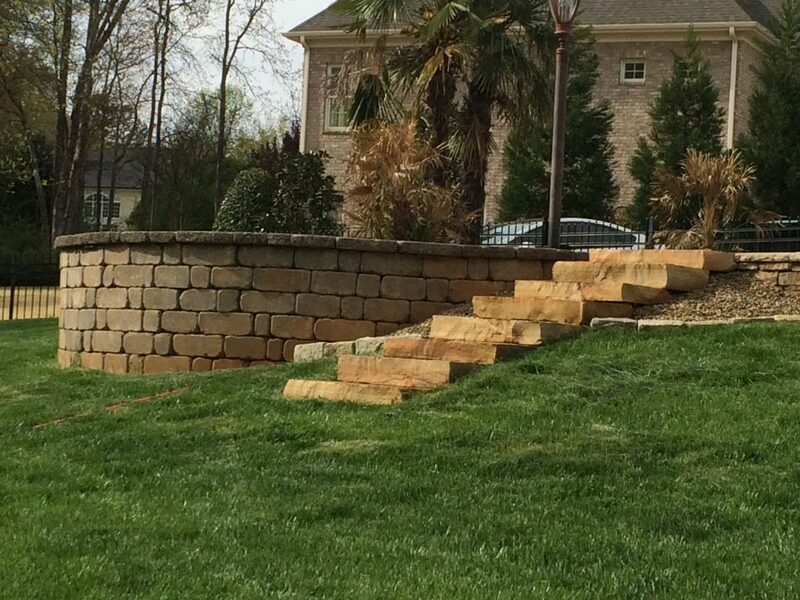 We can work with you to create the retaining wall design that matches your vision for your outdoor living space in the Greenville, Simpsonville, SC area. Retaining Wall in Greenville – If your property has water drainage issues and you need solutions, you may have considered the types of retaining walls that you could build for lasting results. At Greenville Pavers, we know that dealing with drainage concerns can often pose big problems, especially when you want to preserve and protect other parts of your property in the Greenville, Simpsonville SC area. If a retaining wall sounds like what you need, but you are having trouble envisioning the finished result, our team of professionals can help you with this important project from start to finish. Design- One of the first, and most important, steps we take when building a retaining wall is design. We’ll take accurate measurements, create the proper layout, and ensure that each part of your property that needs support and protection is accounted for before construction. Additionally, we can work with you to create the retaining wall design that you like, so it matches your vision for your outdoor living spaces. Materials- If you have seen other retaining walls that look like an eyesore on someone else’s property, you may be dreading putting one on your own, despite the necessity. At Greenville Pavers, we believe you should love the look and feel of your retaining wall just like you do any other part of your outdoor space or landscaping features. We’ll help you choose the materials for your retaining wall that match your outdoor design concept and will look great as a backdrop in any area of your yard. Construction- Once we have the proper design and your preferred materials, we’ll begin the retaining wall construction process. It’s important to us to work quickly and efficiently while also maintaining open communication with you throughout the course of the project. We know that scheduling a major outdoor project can be stressful, but we’ll always work to ensure that the process is hassle-free and your project goes off without a hitch. Results- Your retaining wall will be the ideal landscaping feature, a stable wall to help with water drainage, and long-lasting support for your property. When you work with us at Greenville Pavers, we’ll always make sure you are completely satisfied with the results, and we know you’ll see the difference when you have us design and install a retaining wall on any part of your property. 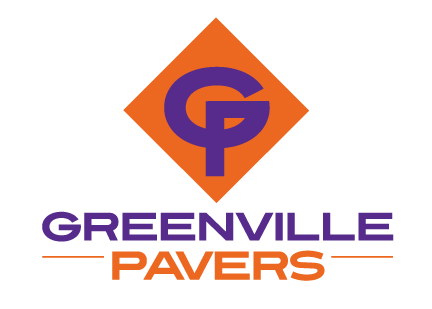 At Greenville Pavers, our team is made up of industry professionals with over 75 years of experience in the commercial and residential construction industry. Not only are we committed to providing you with the services you need, but we also always work to build your trust and show you that we are a credible resource for all your outdoor living needs. We specialize in designing luxurious outdoor living spaces in the Greenville, Simpsonville, SC area, and we are equipped to help you achieve your goals for your home or business. Contact us today if you need more information about building a retaining wall or to schedule an estimate for your property. We look forward to working with you!